The staff, I have now stayed at this hotel four times and the staff are excellent they absolutely go out of their to ensure you are comfortable and your needs are addressed. Enjoyed till last day.Location was very good. I stayed multiple times at the Sunrise whilst in India. 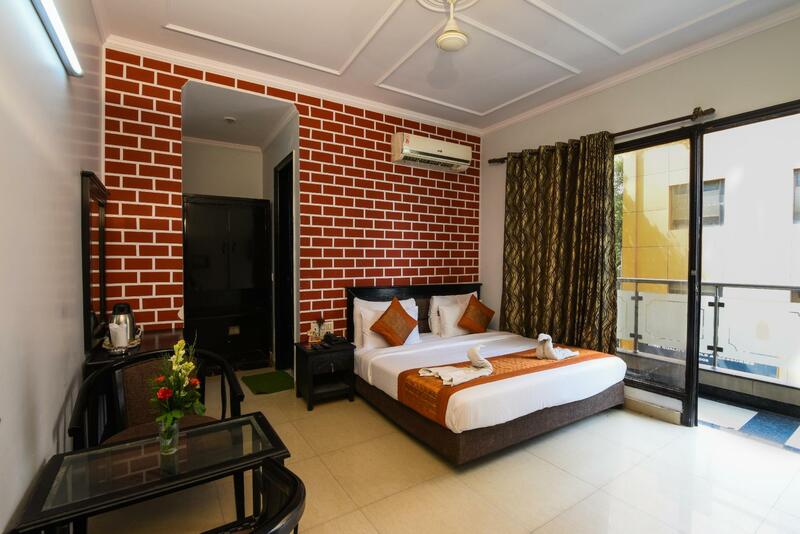 It is located in the Karol Bagh area, around a 10 minute walk from the metro station with a direct link to Connaught Place. It is a little difficult to find initially, being in one of the side alleyways off Saraswati Marg. I stayed in several rooms over the course of my visits, all were clean and a good size with comfortable beds. I think the rooms on the ground floor were the best I stayed in, one of the rooms on the 1st floor was a little damp. All of the rooms had Sky TV, a fridge and generally hot water available, although sometimes it was a little hit and miss. The included breakfast was fine, simple but acceptable. The real plus was the staff, they were exceptionally helpful and friendly, they booked train tickets for me, collected cricket tickets, looked after my bags whilst I was away etc etc. They were a reason to return in itself. 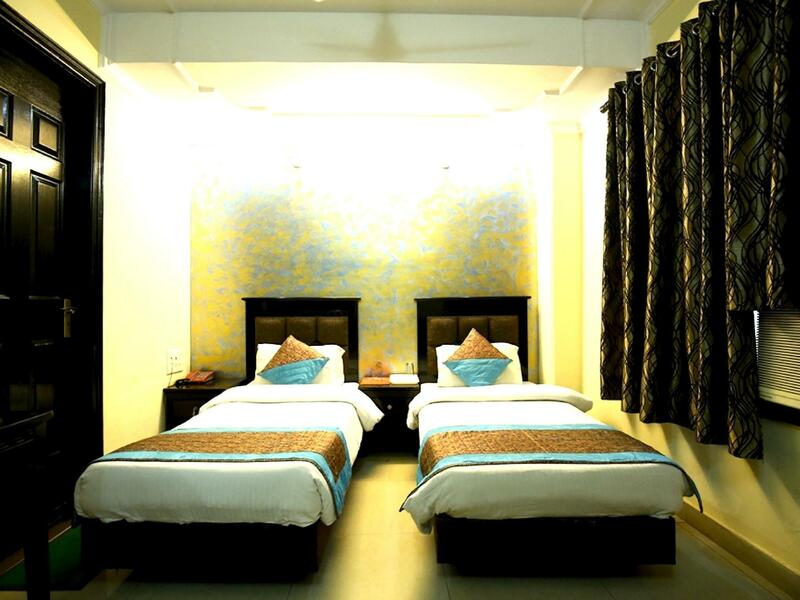 I think for Delhi the place offers good value, I would happily return and recommend. Thanks. Good location near the metro. For 20 Rs. staff can iron your clothes. Breakfast is not bed. Room was quite clean comparing to other accomodations which I saw in India. Internet was working quite well. Stayed there for 4 nights,rooms were clean and the staff were helpful. Room was very comfortable, except the bathroom needed some maintenance. 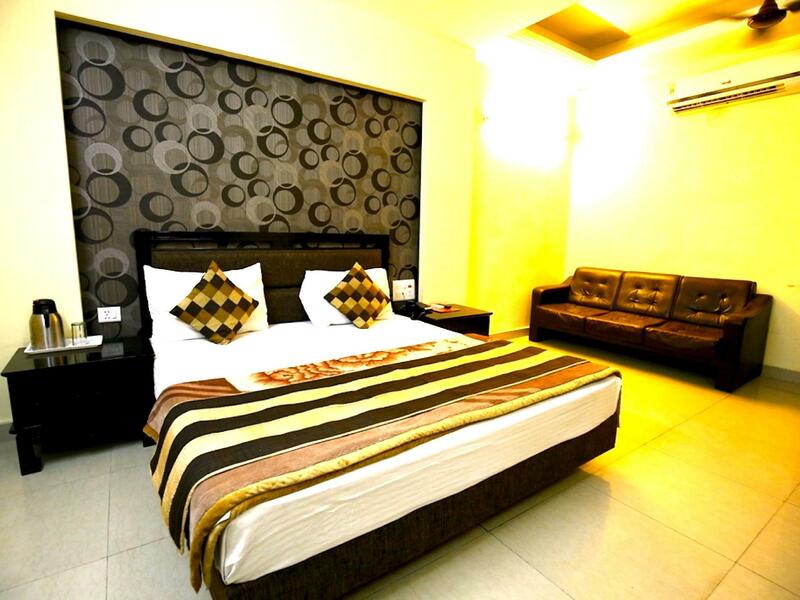 Hotel is located in the heart of the busy shopping district yet located in the quiet neighbor hood. Would stay there again for my next trip to Delhi. Metro was located at 5 mins walk and can easily travel to any part of Delhi. Didnt like this hotel at all. Maintenance being done from early morning to late at night.Restaurant for lack of a better word was disgusting. Room was small, smelt musty & had no windows. No hot water & a delapidated shower. Taxi driver couldnt even find it which bumped up the fare. I wouldnt recomment it to anybody. very good place for staying in delhi. i stay there with my daughter for 6 days. spacious clean room with big bed, modern tv-set, free wi-fi, ac, fan, refridgerator and bathroom with 24h. hot water (by request), soap, shampoo, towels and paper. my special 'thanks' to, the owner, he helped us too much at our long indian trip. my special 'thanks' also to mr.engineer (i'm so sorry, dear, i forgot your name, but i remember you!) who spent many hours removing problems with my computer. Cheap hotel, but bed feel spring rather the mattress. Breakfast not so good, area very crowded. it was a bit hard to find the hotel because it's located not at the main streets but still after a few asks we managed to find it. hot water for shower only available when you tell the reception. he will then turn it on. wifi is near to none on the 1st floor but the one in lobby is working and also, can always use the computer in the lobby. staffs are very attentive and helpful. The stay was good. Service was nice. Rooms were clean. Internet was working. Breakfast was nice. 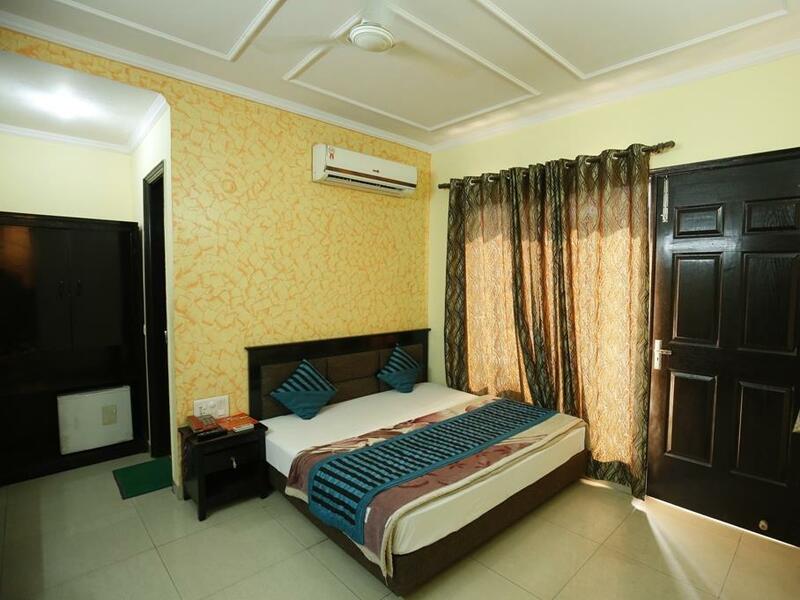 Location is good, just next street to Karol Bagh market. Room is with poor ventilation (no window) & that roof-top restaurant need improvement. Nice experience for very reasonable price. excellent staff..
my initial reaction was "bearable". the hotel was located in by lane near a busy noisy market area. the rooms were "ok" but the mini bar did not work. however in the next few days i was won over by this place. the service is excellent, all i had to do was politely point out that the mini bar doesn't work and they changed my room without me asking. the staff is friendly without being nosy. the market turned out to be a excellent place to shop and the fact that the hotel was in a by lane meant that even though it was in a noisy area the rooms were quite. the metro is a 5min walk and connects you to the whole city. my only suggestion is that the food could be better(and the rooms need to have individual geysers (though i call to the reception results in the boiler being turned on immediately. it still takes 10-15min to get hot water). over a great stay. The hotel stay was ok, rooms are also ok, Some of the rooms have ac problem.Restaurant is very dirty n in pathetic condition . room size is satisfactory.Location of the hotel is good away from main karol bagh market.Some of the fridges are not working properly.I had to change 3 rooms during my stay of 4 nights. this hotel was fine but not as nice as the pictures. the staff are generally friendly and competant. สถานีรถไฟใต้ดิน Karol Bagh - ระยะ 0.64 กม.